Broad beans will remain one of those vegetables that defy commercialization as their flavor deteriorates post-harvest unless quickly shelled and cooked as soon as possible. Store-bought beans are often too large and starchy. Along with asparagus and strawberries, broad beans have that springtime and early summer succulence. In northern climates, broad beans cannot be sown in autumn, but instead in late winter under glass. Seedlings are planted out in early spring and the first crop usually appears in early to mid summer. Gardeners living in Mediterranean climates can grow them reliably for good harvests since winters are not cold enough to deter their steady growth. Once the plants flower and produce the first pod, their top growth can be pinched and are supposedly delicious sauteed (I have never tried them). Pinching out this growth forces the plant to concentrate their energy into the beans. 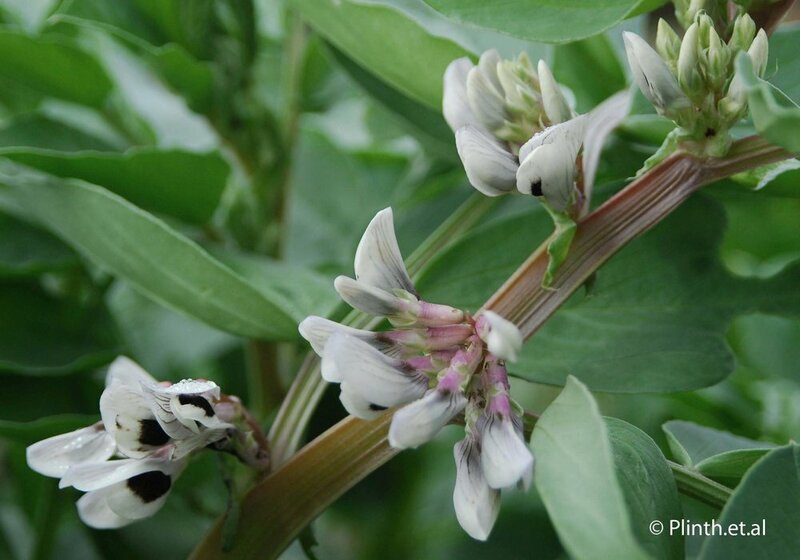 Chocolate spot and aphids are two common ailments of broad beans. Chocolate spot appears as brown dots on all parts of the plant, but good fertilization and air circulation can prevent the disease from gaining a foothold. Aphids can be easily dispatched by strong jets of water or insecticidal soap. Do not allow the beans to become too large since they become mealy. The ideal size of each bean should be no smaller than a thumbnail. A bit of sea salt and pepper goes a long way. The Australian Gourmet Traveller suggests serving them with lemon, garlic, extra olive oil, parsley, and Pecorino cheese. Another way of serving is to harvest and finely dice herbs, such as chervil, dill, and mint, and add extra olive oil, white wine vinegar. Slivers of asparagus can be added as well. Any shelled beans can be frozen and used when another time calls for those memories of spring especially during the short days of winter.